“Lyman was born March 3rd, 1942 in Owosso, Michigan and started his formal musical training at age four on the piano. In 1962, he attended the Oscar Peterson School of Contemporary Music in Toronto, Canada. After hearing a performance of the great Jimmy Smith in 1963, he was convinced that this was his future and he made the switch from piano to the Hammond B3 organ. Lyman formed the first Lyman Woodard Trio in 1965 along with fellow musicians Melvin Davis on drums & vocals and Dennis Coffey on guitar. Since the early 60s, the Detroit music scene has been largely defined by the music of Motown Records. The Motown “music machine” spawned many great R&B talents and from 1970 though 1973, Lyman got the opportunity to be a part of this heritage by landing the position of musical director for Martha and the Vandellas. By 1974, he was anxious to have his own band again and reformed the Lyman Woodard Trio with fellow musicians Leonard King on drums and Ron English on guitar, thus beginning his long standing association with the percussionist who appears with Lyman on his latest release. Later that year he expanded his band by adding alto saxophonist Norma Jean Bell and percussionist Lorenzo Brown, and changed the name to the Lyman Woodard Organization. 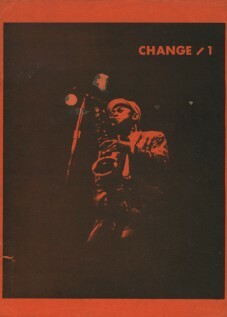 For the next 11 years, the “Organization” played the clubs and venues of the midwest, changing members occasionally and opening shows for artists such as: Billy Paul, MFSB, Bob James, the Jazz Crusaders, Gil Scott Heron, Herbie Hancock, Tito Puente & his Latin Jazz Ensemble and James “Blood” Ulmer. The Lyman Woodard Organization disbanded in the late 1980s. Lyman again reformed his “Trio”, consisting of long time friend Leonard King on drums & vocals and guitarist, Robert Tye. The trio has been a popular act at the 1994-98 Montreux Detroit Jazz Festivals, and has opened there for artists Bill Doggett and one of Lyman’s early influences.The Lyman Woodard/Jimmy Smith booking was part of a show billed as “The Battle of the B3s” which also included organists Charles Earland, Jack McDuff and Joey DeFrancesco. The ’96 Montreux festival performance has become Lyman’s latest release on Corridor Records, “Live at the 1996 Montreux Detroit Jazz Festival“. The trio have since performed at the Frog Island Jazz and Blues Festival and opened for Booker T. & the MGs. In 1998, Lyman again performed with long-time friend, electric violinist Regina Carter, who incidentally played on Lyman’s 1985 album “Dedicacion“. 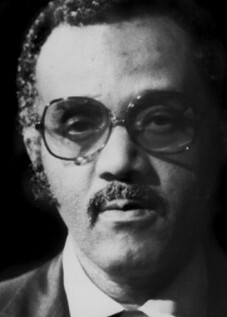 In addition to leading his own groups over the years, Lyman has performed with many distinguished artists including: Johnny Adams, Earl King, Eddy Bo, Thunder Bird Davis, Eddie Kendricks & David Ruffin, Mary Wells, Martha & the Vandellas, The Originals, Grady Tate, Luis Gasga, Marcus Belgrave, Betty Joplin, Chuck Jackson, José Feliciano, Roy Brookes, The Eighth Day, James Jameson, The Undisputed Truth and Eddie Jefferson. “Lyman Woodard not only established a career as a premier jazz organist, but introduced dance and Latin rhythms to his instrument in a way others in his peer group did not. Born Lyman Elnathan Woodard III in Owosso, MI, on March 3, 1942, his father and grandfather were musicians who passed on the jazz tradition, as he took up the piano and attended local public schools before moving to St. Louis, where he was a student at Principin High School. Woodard returned to Michigan, studying at Flint Northern College, and then headed to Toronto to study at the Advanced School for Contemporary Music, where his mentors were Oscar Peterson and Ray Brown. He was able to play songs by Little Richard note for note, and was influenced by early R&B pioneers Fats Domino and Chuck Berry. In the early ’60s, he heard Jimmy Smith on his car radio, and switched to the Hammond B-3 organ. Woodard worked with various bands in Michigan, particularly in the bands of saxophonist Benny Poole, and moved to Detroit in 1964. 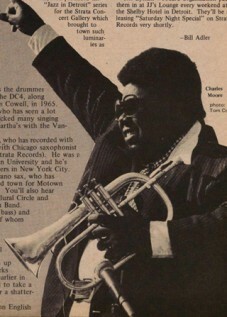 His professional experience included stints as music director for Martha & the Vandellas and as a member of soul-fusion bands Undisputed Truth and 8th Day; he was also a leader in the Detroit Artists Workshop and collaborated with jazz trumpeters Marcus Belgrave and Ron Jackson and saxophonist Norma Jean Bell. 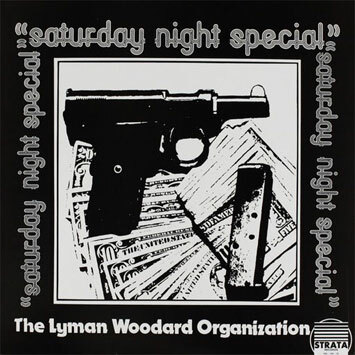 In the 1970sWoodard formed his own trio, initially with Don Davis and formally with Motown session guitarist Dennis Coffey and drummer Melvin Davis; he then fronted his larger band, the Lyman Woodard Organization, producing the 1975 cult classic Strata label LP Saturday Night Special with Bell, guitarist Ron English, drummer Leonard King, and percussionist Lorenzo Brown, among others, and the Corridor label follow-ups Don’t Stop the Groove — recorded live at the Detroit nightclub Cobb’s Corner in 1979, with English and national award-winning guitarist Robert Lowe, Jr.,King, Belgrave, and saxophonists Kerry Campbell and Allan Barnes — and the 1985 EP Dedicacion. These recordings marked Woodard‘s progression out of mainstream or soul-jazz into a beat-oriented, danceable music that Detroiters related to amidst the disco craze. 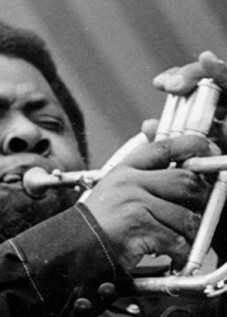 The Afro-Cuban-oriented Dedicacion also introduced the world to a young violinist,Regina Carter, Lowe, and in subsequent live performances, then fledgling alto saxophonist Kenny Garrett.